A very intense week came to a sweet end with booking our plane tickets to the US. We’re only taking off in April, but the itinerary is pretty much set: Beer, cocktails and niece in Southern California, cocktails, beer and nephew in New York, deep south, cocktails, beer and bourbon in between. Early booking means low airfare and six months to dream and plan. Next thing I did after closing the Expedia tab was to google map Port Brewing (10 minutes from Escondido and the niece), and the Bruery (tap room is open til late – we can drop by on our way from the airport, if we’re not too knackered.) Both brew Book Beers, of course, only Orchard White by the latter is now retired. Another reason to live forever, or better, drop this mission. Or maybe, check out the second edition of this stupid publication. Booking is a good excuse to recap Californian beers I drank and haven’t blogged about yet. 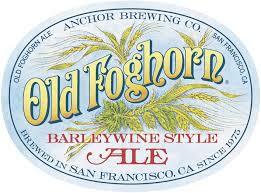 Like Lost Abbey 10 Commandments, that’s brewed in the above-mentioned Port Brewing. I had it in late December 2013 (and I’m afraid that’s not the worst backlog in this blog), from friends who brought it back from a beer festival in Italy, if I’m not mistaken. 10% abv. of Belgian Strong Ale. My sample of this 2012 vintage bottle poured murky brown and had a dark tan head. I smelled raisins, hyssop and turmeric,and after a while – a little alcohol. It tasted very fruity, dark and heavy, with a little alcohol in the mouth too. Full-bodied, Belgian-like, deep, spicy finish. Very complex, heavy and difficult to drink. Another old one is Sierra Nevada Celebration Ale that we shared at a tasting at The Dancing Camel pub in Florentine, Tel Aviv, in December 2013. Wintery IPA with 6.8% abv. Last time I checked the empty bottle was still adorning the bathroom over there. Clear amber. Slightly spicy, christmas cake aroma, bitter, hoppy, fruity taste, medium-bodied, a little burnt finish. Nice. – these are my tasting notes for this beer. REL, Dead Swedish Girl and The Actuary, that brought the 10 Commandments, also shared FiftyFifty Imperial Eclipse Stout – from FiftyFifty Brewing. Looking at the date it was sampled, they must have brought it back from Copenhagen Beer Celebration. 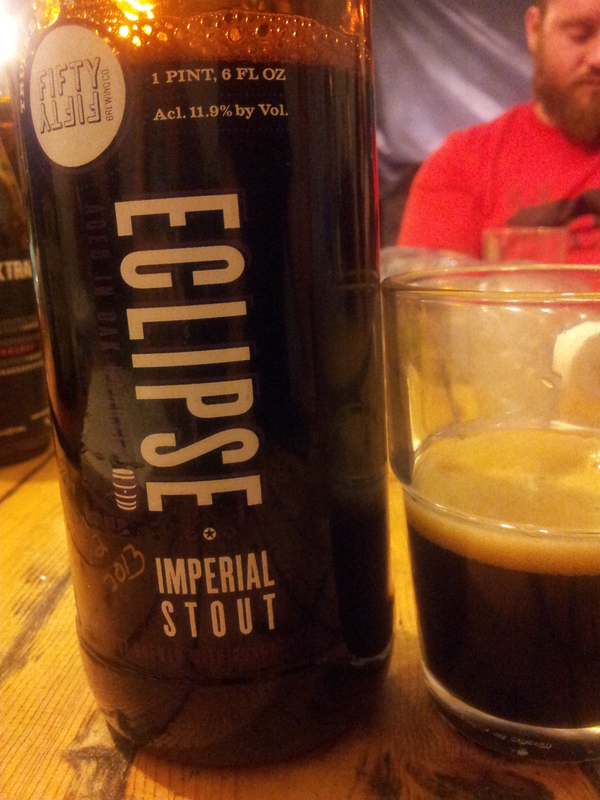 Eclipse is an imperial stout that aged for ~7 months in oak barrels and released once a year, in December. Our purple wax-sealed sample was aged in Elijah Craig barrels and was pretty awesome: black with tan head. A little vinous, wood, vanilla. Deep sweet taste and a little spicy. Smooth, syrupy, no carbonation, a little alcoholic aftertaste. Next, Green Flash Le Freak – 9.2% Belgian Strong Ale from San Diego. I loved this one. Hazy gold-amber with white head. Fresh, hoppy aroma, grapefruit and pine. Grassy, skunky green taste. Medium body, relatively carbonated, hoppy and floral finish. 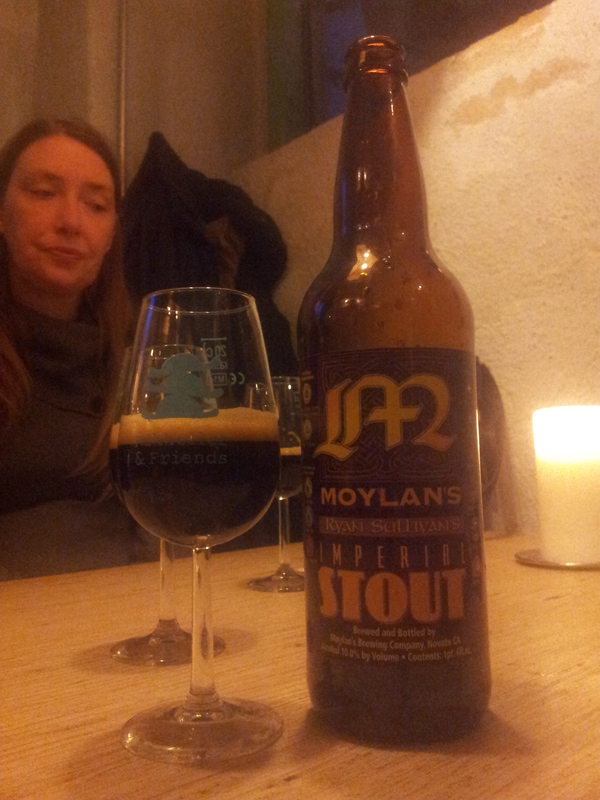 Another Californian Imperial Stout is Moylans Ryan Sullivans. we bought the bottle in Høkeren, a cute bottle shop in Copenhagen, in January, because there is no better way to celebrate one’s birthday in a cold and windy city filled with beautiful people. 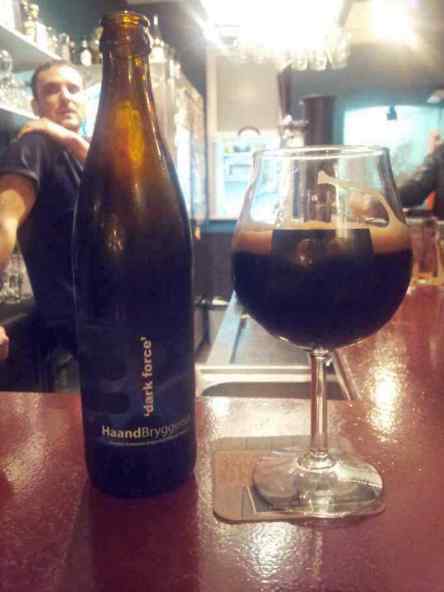 We shared the bottle at Mikkeller & Friends with our ratebeer/untapped buddies Ruben and Dorthe. Black, with a big tan head. 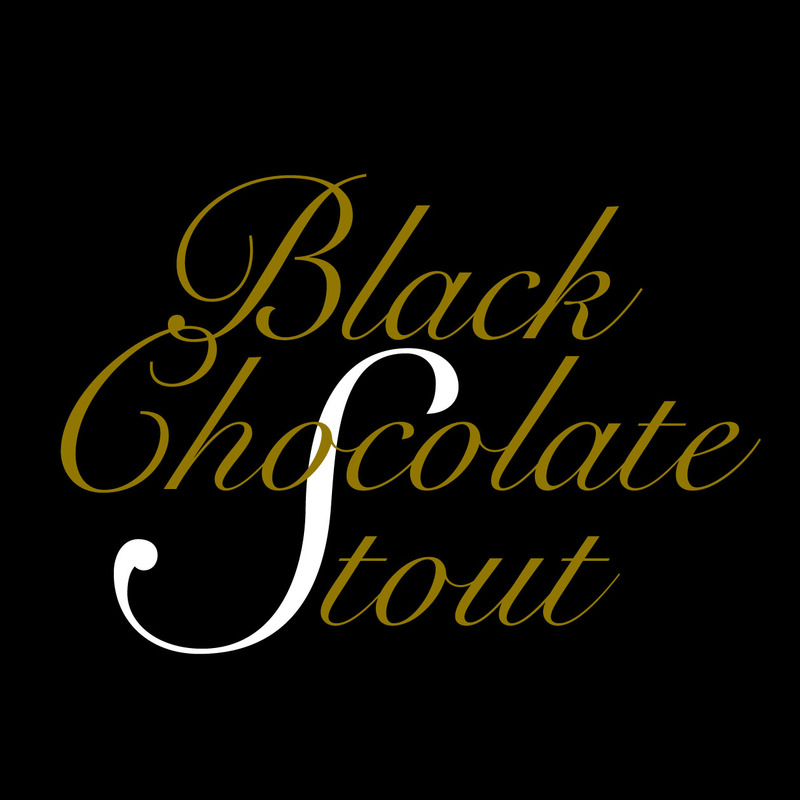 Dark chocolate and espresso aroma, rich bitterness, coffee and a hint of sourness in the mouth, full body, very bitter finish, no carbonation. Nothing experimental here, just a nice and solid imperial stout. It was Teva Boy who shared The Bruery Saison Rue in early 2014. Quite awesome and heavy on alcohol saison – 8.5% here. Cloudy amber with white head. Bretty, fruity, apple, some toffee and pepper aroma, mildly sour but very drinkable – a little alcoholic too. Full body, slightly alcoholic finish. Very good. I believe I had Russian River Supplication sour ale on more than one occasion, but my tasting notes are from a tasting at Teva Boy, of a bottle shared by Sparrow Brewery’s owner and brewmaster Dror, from February 2013(!) Pours clear-to-hazy rusty with white ring. Apple vinegar, air freshener, rose-water aroma, delicate sour taste. Medium body, very fizzy, ciderish finish. I gave it 3.3/5 – that’s around my average rating. I wonder how much I’d give it today. This ends the Californian backlog. Lots more to drink from The Golden State – the ones from the book that are still available and hundreds more. We have only 5 or 6 days in SoCal before heading to Austin – we’re gonna work hard. Been a while since I blogged about Italian beers. I like Italian beers and so does The Book. Both innovative in taste and design and with strong link to tradition (again – the design), there are no less than 47 beers from the Land of Pizza and Gucci in the first edition of the book. Some of them are naturally hard to get. With the help of this blog’s benefactors – friends, fellow beergeeks and my Excellent Little Brother who lives in New York, where you can find stuff from all over the place (except for Fat Tire, that is). Teva Boy was extremely helpful with Italian beers – he always is. 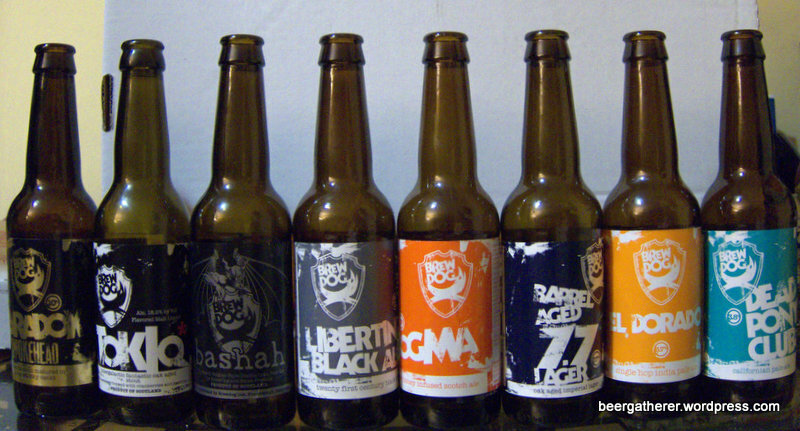 He had a project near Milan and managed to grab some bottles, like Birrificio Italiano Bibock, a 6.2% Hellr Bock. It pours a little hazy amber with a white head. Aroma of citrus and some honeysuckle as well as some minerals, mildly bitter taste, with diluted honey sweetness. Medium body, mildly carbonated and mild floral aftertaste. Feels a little old but that’s my fault for taking my sweet time meeting with Teva Boy. Same goes with Farrotta, by Almond 22, that’s made of spelt grain. Also courtesy of Teva Boy. Hazy yellow-gold with a white head. Dry and dusty aroma, a little sugar and cookie as well. Tastes sweet, some candy, a little sourish and sugary. Full body, sweetish, bun-like finish. Stas brought Verdi Imperial Stout by Ducato from one of his many beer holidays. We drank it in Haifa last winter – it’s been that long ago! Very dark brown with tan head. A little alcoholic and spur in the nose, some tomatoes, chocolate syrup and faint smokiness. Above the bitter taste – chili pepper hotness, the roast and again, faint smoke. Fulfilling, carbonated, very long chili-chipotle finish. Quite amazing, even more amazing than it reads! I could go on, as there are other Italian beers waiting to be listed here, but it’s time to get prepared to bass lesson. North Yorkshire Brewery Samuel Smiths has 5 beers in The Book and I drank them all. Already blogged about Taddy Porter and Nut Brown Ale, and now I’m closing the gap with the other three. Samuel Smiths Old Brewery Pale Ale is an organic ESB with 5%abv. that I shared with friends last September, before our big Real Ale Trail that one day I’ll find the time to write about here. Murky amber, white film. Ripe fruit and cooked pear and plum and then some spices in the nose, oxidized taste – fruity and old and sweet. Medium-bodied, long fruity finish and carbonated. Next, Samuel Smiths Yorkshire Stingo, an English Strong Ale with 8 or 9% abv. (our bottle was 8%). We bought our bottle in an awesome craft beer shop in Manchester called The Beermoth – highly recommended if you visit this great beer city. Beer pours clear dark brownish gold with white film, has an alcoholic, apple aroma, with a sweet, cherry thingy in it. Bitter, alcoholic taste, medium body, slightly carbonated. Not too bad. And last, the crown jewel, Samuel Smiths Imperial Stout, a robust brew with only 7% abv. – not a lot with a style that’s been raising the bar all the time. Not sure for how long we kept our bottle in the fridge, but it was a few good months between receiving it and sharing. Black with tan head. A little roast, slightly vinous aroma. Slightly bitter and faintly sour in the mouth. Full-bodied, nice roasty finish. Samuel Smiths Old Brewery Pale Ale, Samuel Smiths Yorkshire Stingo and Samuel Smiths Imperial Stout are beers #359, #360 and #361 I Must Try Before I Die. 2. Booking hotel/ Air B&B rooms in Brussels and Ghent. Being the ADD person that I am, as I was typing my ratings and updating my 1001 list, I started thinking about this blog and my Belgian beer 1001 status and decided to log in and continue catching up on this blog, with Belgian beer in mind. There are 118 Belgian beers listed in the 1001 Beers You Must Try Before You Die book. That’s 11.78% of the beers in the book and it kinda makes sense. Out of the 118 I drank 66, 55.9% of the beers listed, but reviewed 54. I have 12 beers to write about, then drink and review a few that are available in Israel and in my cellar until November, in order to clean the desk before the long, and much anticipated weekend in November*. #335: Achel 8 Blond – I drank it last November, I think. 8% abv, Belgian Strong Ale. It pours lear gold-yellow with white head. Some petrol, then spiciness, then yeasty bitter aroma. Yeasty bitterness in the mouth, that distinctive Belgian taste. Medium-to-full body, fruity yeasty finish. 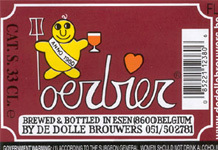 #336, #337: Arabier and Oerbier, both by De Dolle, with naive and beautifully illustrated labels. Arabier is Strong Belgian Ale, 8% abv, drank in November. Pours hazy yellow golden with a big, white head. Sweet, dried apricot aroma, apricot in the mouth, then very bitter. Apricot aftertaste, medium-to-full body, carbonated. I shared Oerbier at the same tasting back in November. This Belgian Strong Ale goes to 9% abv. It pours deep brown and almost opaque, with a frothy, light tan head. Fruity aroma, dried fig. Tastes bitter and nice and again, of dried figs. Full body, fruity bitter finish, a little sour wine. I liked them both, with no particular preference between them. #338: Brasserie Dupont‘sAvec les Bons Voeux – An Abbey-style tripel that The Laughing Buddha Beer crew brought from their beer and metal trip to Belgium earlier this year. 9.5% Abv. Clear white gold with a foamy white head. I smelled some sour notes, vinegar and hints of fruit aroma and the taste was sweet and very mildly sour. Light body for this high abv., soft carbonation, a little sour finish. #339: Hercule Stout – one of my favourite beers from Belgium! The Secret Agent and I drank it for the first time when we traveled there 3 years ago, right before I began rating and blogging here. For the sake of my log, Skipper Tom shared a bottle of this goodness. It’s an imperial stout, with 9% abv. Pours black with beige head. Slightly vegetal aroma, a little smooth and sweet taste that then turns smoky. Dry, wood and roastiness in the mouth. medium-bodied, long, roasty finish. Again, really good. #340 and #341 are both from Liefmans. The Secret Agent and I shared a bottle of Liefmans Cuvée Brut at home a couple of weeks ago, in a lazy, hot weekend afternoon. This is a Liefmans Oud Bruin-based kried that’s fermented with whole cherries for about 12 months and then blended with Oud Bruin and Goudenband from the same brewery. At 6% abv. it’s a complex, yet refreshing beer, with a very dark ruby-red colour, cherry, some oak and cinnamon buns aroma, and a tarty, cherry taste with a little sugar. Medium body, fruity aftertaste with a little peat. Tasty. Liefmans Goudanband was also a special purchase by the Laughing Buddha crew. They shared this beer with us at a tasting at Stas’ in one of the most frightening nights The Secret Agent and I have ever experienced. 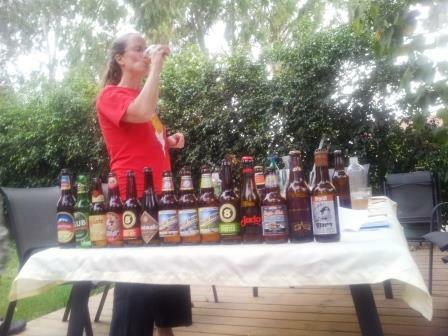 Beer tasting was a temporary relief from stress and fear. But I’m drifting away – blame it on the ADD. Goudanband pours murky brown with beige head and has a slightly sour aroma of grapes and cranberries. It tastes very, very sour! Not hostile, though. Medium-bodied, a little flat (but in a good way), and sourish finish. #342 is Monk’s Cafe’ Flemish Sour Ale – don’t remember how I got it – Maybe my Excellent Little Brother bought it for me? 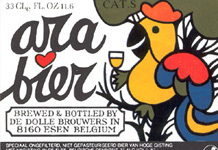 Brewed by Brouwerij Van Steenberge for Monk’s Cafe’ in Philadelphia, its commercial description reads “We blend young and old beers to make this mildy tart sour ale. Light bodied with a lactic/sour nose and a bit of sweet and sour in the finish. Very refreshing!” It was a little too harsh for me. Not a heavy beer, only 5.5% abv, but with its wort, malt, date honey and a little sour aroma, sour, a little like cheap, sweet red wine,taste, light body, no carbonation and its slightly sourish finish, it wasn’t really to my taste. #343 is Petrus Oud Bruin, Third in this listing from the Laughing Buddhas. This is a sour ale that I quite liked. It has clear dark brown with beige head, walnut, cinnamon aroma, mildly sour taste with cinnamon undertones, fair carbonation, medium body and a lingering, apricot-sourness finish. 5.5% abv. here too. #344: guess who brought a bottle of Saison Dupont? Yup, it’s Ariel T., Stas and Vova again. I like Saisons and this is a good example for this type of beers. Clear gold with frothy white foam. Slightly sour aroma with notes of apricot and banana, very mildly sourness in the mouth and very drinkable. Medium body, smooth, creamy texture, long and a little ripe citrus finish. #345: The Secret Agent and I shared a bottle of Piraat on my birthday weekend getaway to Prague last January. We were at the Nota Bene, a basement bar dedicated mostly to Belgian beers and a great relief from some horrendous fruity beers we drank nearby. Clear brown with a huuuuge, frothy white head. Oatmeal cookie, biscuit and warm spices aroma. Alcoholic, sweet, esteric fruitiness in the mouth. Medium-bodied, sweet, esteric finish. I liked it but may have not liked it that much in a different setting. 10.5% abv. And finally, at #346 – Rodenbach Grand Cru, which we shared with my Big Brother-In-Law last March, during our family trip in Romania. We bought the bottle at the Beer O’Clock in Bucharest and opened it on the night Big Brother-In-Law, his wife and da niece arrived from California. I recall that we were all tired – the Californian branch from the long flight, us from the long ride back from Constanta. So, what did I think about the beer? Clear reddish brown with cream-coloured foam, Candy, pickle-juice, alcohol and sour wine aroma, rather delicate sourness and fruity taste. Light body, delicate fizz and relatively easy to drink. Phew – washing machine went quiet a looong time ago and writing about all this beer made me tasty. Gonna get some cold soda from the fridge and find accommodation in Ghent. *While I’ll be spending as much time as possible in cafe’s, the purpose of this trip is visiting WWI sites and attending Einstürzende Neubauten’s premiere concert in Diksmude. Still, looking for beer tips and recommendations, especially for Ieper and Diksmude. Please comment if you have any. Did I mention the crazy backlog in this blog and list? Of course I did. There’s one beer missing from last year’s Romania Field Report, not a word was written about September’s Real Ale Trail in Yorkshire and Manchester and I kept silent about the Birthday Mayhem in Prague that took place in a sunny January weekend. Between these two beer-centric getaways there was a business trip to the Canary Islands – a long weekend of surfing lessons, shows, parties and so many glasses of Jameson ginger ale that it shows in Irish Distillers annual reports. But it was business, tough job and somebody had to do it. There are no direct flights from Tel Aviv to Lanzarote. I had to arrive at the island a day before my guests – ~90 bar and restaurant owners, bartenders, local celebrities and fellow employees – to watch the production. Thus an afternoon flight and an overnight stay in a hotel in Madrid were booked, and I logged in to Ratebeer.com, to do business. To make a long story short, I landed, checked in at the airport hotel, dropped my bags and rushed to the bus to the city center. By the time I arrived, 11p.m on Wednesday night, a casual hour in Tel Aviv, the bars I was aiming at were not admitting new patrons. Begging, saying I’m a beergeek who came all the way from Tel Aviv and that I just want to tick/ grab a takeaway, didn’t help. It was late, I was tired, but decided to take a walk around the block before hailing a taxi back to the city outskirts. Beer Karma came to work and I bumped into a corner bar, that bears the cheesy name La Casa De La Cerveza. The Pilsner Urquell and Guinness signs in the streets, the name of the place and the beams are deceiving: behind the touristic facade there’s a nice bar with a decent menu that lists dozens of European and American brews: from Belgian ales to bigger export US craft beer, with a good amount of German and English stuff in between, and 7 taps as well. The bartender fixed me a vegan sandwich and I read the beer menu, picking stuff from the 1001 Beer book: Gouden Carolus Classic was imported to Israel in the past and used to be one of my favourite beers when I got into craft beer, but my palette has changed and it tasted too sweet and stuffy. Condensed fruit, lots of sugar and full body. It wasn’t the ideal beer for my tired body, apparently. 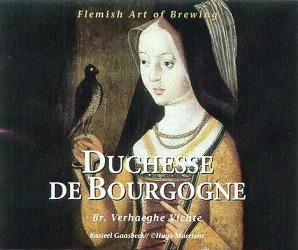 Duchesse de Bourgogne is a Belgian sour beer that The Secret Agent and I drank in Namur. I love the gothic label, but the beer’s a little too sour to my taste. Its aroma begins sweet and then becomes pungently fruity-mango-yogurt-like. The tastes is sweet at first, then becomes lactic. Full-bodied, yogurty finish and rather smooth texture, but not really my kind of brew. Despite the obsessiveness, I asked the bartender to recommend me something Spanish, and he opened a bottle of Copper Ale by VG Noster from Basque Country, a sweet, fruity amber ale. Not much to write about it. It was getting late, I was getting drunk, so I grabbed a bottle of Achel Bruin to drink later in the trip (7 months later and it’s still in our fridge. It’s a Trappist ale so I’m not worried). There is not much to write about beer in Lanzarote – bars pour macro lagers mostly and the supermarkets stocks them and they are really cheap and cater for those A Place In The Sun expats. I did grab a bottle of Mahou Negra, a popular Spanish dark beer from the Carlsberg group, that tastes sweet, like chocolate milk almost and is still rather light-bodied. 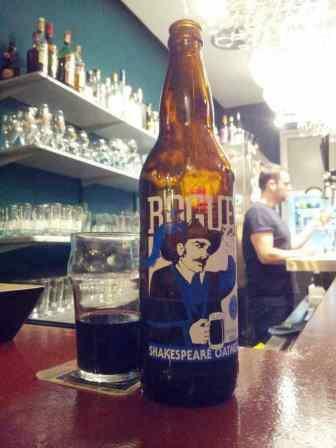 It is now available in Israel and served on Tap in the Cervezeria, a Madrid-style Tapas bar in the heart of Tel Aviv. We go there for Gin and Tonic or Rum but draught Negra is our in-between rounds drink. no beer to write home about, but look at the view! 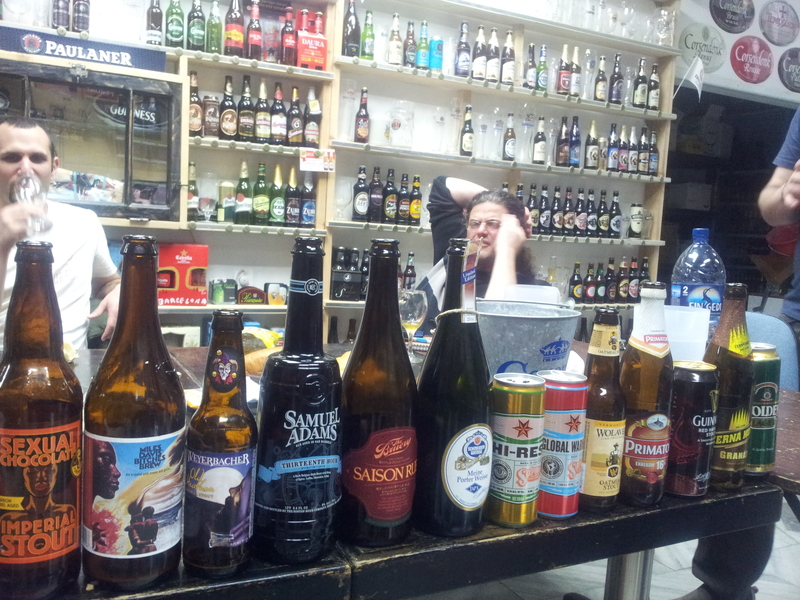 In a little over an hour I drank 6 beersm some with the help of two nice beergeeks that were sitting on the bar too. Two of these beers were from the book: Rogue Shakespeare Oatmeal Stout and Haandbryggeriet Dark Force. The former’s a pretty cool beer: slightly smoky, chocolate aroma, with chocolate sweetness and a little dry bitterness in the mouth. Bitter, chocolate finish, hops, full body, and smooth, very mild carbonation. The latter, that hails from Norway, pours black, opaque with a mocha colour head and smells amazing: slightly peaty, dry ash and prunes. It also tastes awesome:smoky, bitter, ashtray dryness in the mouth with a full body and slightly dry and ashy finish. I like my beer to be smoky/ peaty/ roasty/ burnt and Dark Force did the job just fine. I also drank/ sampled De Molen Hel & Verdoemenis Wild Turkey Barrel, Mikkeller Santa’s Little Helper 2013 and To Øl Ridiculously Close To Sanity – all three great and from tap. Following my drinking partners’ recommendations I ordered an APA by Spanish brewery Naparbier, that’s located near Pamplona. The 5 Titius Anniversary is quite alright – definitely better than most of the Spanish craft beer I’ve tried before or after, with fresh floral – jasmine – hoppy aroma, and hoppy bitterness. turns out that one of these guys illustrated a label for Naparbier, so I took a bottle of this beer and shared it at the airport with two members of our group – bar owners from Tel Aviv and Rishon LeZion, before checking in. Naparbier The IV Beer Riders was piney and skunky but in a good way. Drank straight from the bottle and in a rush – I had to stop at the duty free to grab a bottle of rum for the home and that mandatory bag of candy for the office. An attempt to break the silence? A month without blogging/ updating/ whatnot. I wish I could say that I’ve been having so much fun that I couldn’t find the time to write, but this is not the case. It’s work that keeps me away from the keyboard and the notebook and the pictures. When weekend comes I run errands and do the obligatory family things that are sometimes pleasing and more often than not frustrating and then crash. Being in bed in 9p.m is my latest weekend pleasure, as well as avoiding people. Luckily, Lovely Niva is oblivious to my state of beer neglect. Several months ago, when she took her daughter to a family trip to Argentina, I asked her to bring back a bottle of Antares Imperial Stout, Argentina’s representative in the 1001 book. Niva happily obliged and since then the bottle’s been resting at her fridge. Today we finally drank it. Oblivious to my state she invited us to lunch at the moshav where she, her husband Chula and their three kids live, grow herbs, cook glorious food, collect mugs and brew their own MaiBEERovicz beer in an open garage. 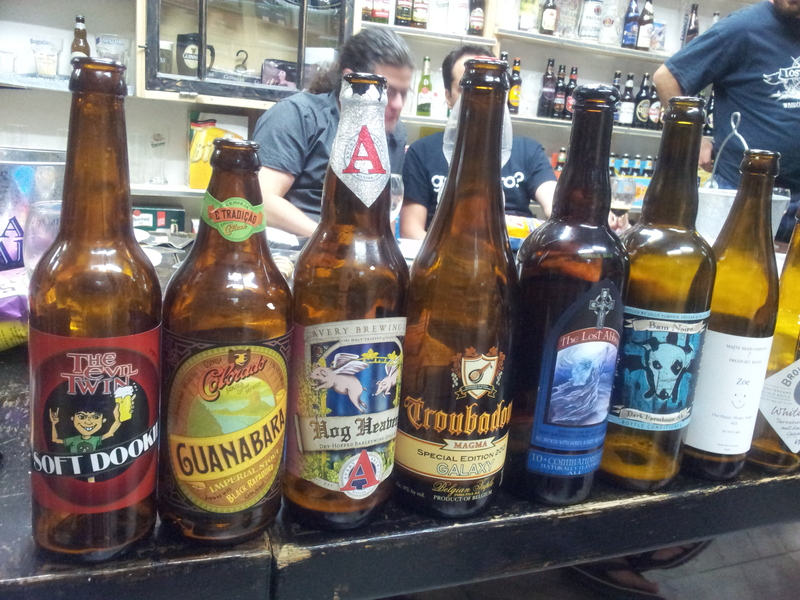 As carnivorous as Argentinians get, we were treated with amazing vegan food and lots of beer. We had quite a varied tasting session, with beer from Ghana, Tanzania, Belgium, Spain, USA, Ireland and Israel that was concluded with that bottle of Antares Imperial Stout. Despite the months that have passed, the beer remained pretty awesome, with deep chocolate aroma and taste, roastiness and some ash. The body was on the light side, considering it’s a 8.5% Imperial Stout we’re talking about. Drinkable, fun and definitely worth the time and calories involved. Better than Quilmes, for sure! Antares Imperial Stout is beer #309 I Must Try Before I die. I am actually some 50 beers behind. Less than 2 months til my birthday. Should I opt for a catching-up challenge? No breakfast for me this morning. Fasting before a blood test that, knowing my body, will probably result in low volume for Folic Acid or something. Breakfast that includes coffee that will hopefully restore my blood pressure, will be consumed later today. 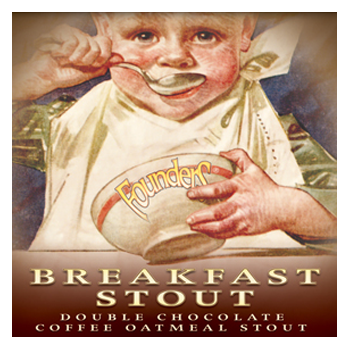 All this reminded me of Founders Breakfast Stout that The Actuary brought to a tasting not too long ago. This high-volume black Imperial Stout (8.3%) is not something to start the morning with; too rich, too complex to drink before the first coffee, though it smells like coffee. Dry, rich aroma, with some cherry too. 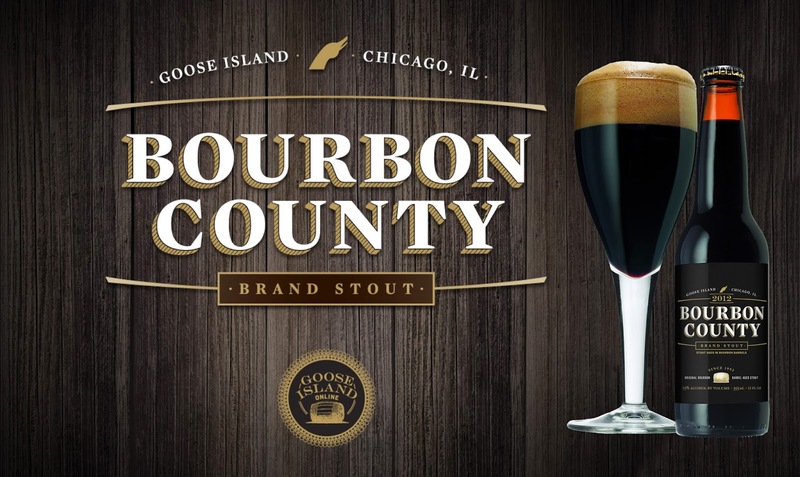 It tastes complex, too, with lots of wood and coffee sourness – this is actually brewed with coffee beans so it makes sense – ans a little chocolate to make it all very yummy. Full body, smooth texture and a long, roasty finish. One of the best beers I have drank in the past few months. Superb. We’re back from Switzerland, still enchanted by The Young Gods’ brilliant concert. I would have paraphrased and said that It’s Good to Be Back*, but I’d be lying. It is never good to be back from a holiday, though our bank account is definitely relieved that we’re back. Soon I’ll start working on my notes and turn them into a couple of entries about Swiss beer and beer in Switzerland, but these will be picture-heavy entries and after an all-nighter we pulled at the airport (where beer tasting took place too, of course!) I just don’t feel like messing with Windows Picture Manager or delegating the task to The Secret Agent, aka Der Fotoshopfenkunstmeister. We are both knackered. Instead, let’s talk about dogs. We haven’t talked about dogs for ages in this blog, not since October, when Brewdog Rip tide was reviewed. There’s a Lion Stout, Hop monkey, Goose Island and even a Black Cat, but it is a truth universally acknowledged that dogs rule the world of beer. We recently drank two doggie beers. The first is Abita Turbodog from Abita Springs, a small town in the New Orleans Metropolitan area. Abita Brewing Company uses the town’s spring water. Wikipedia tells us that “[i]n August 2005, Stuff Magazinecalled Abita’s Turbodog Ale the best beer made in America”. Wikipedia also tells us that Stuff magazine is a sleazy men’s mag that merged to Maxim in 2007. 1001 Beers You Must Try Before You Die was first published in 2008, I think, so the beer must have kept its rep for a few years. It’s an alright brown ale, with cherry, old-chocolate and sweet flowery aroma and sweet chocolaty taste, faint toffee and a little yeast. It’s an alright beer but due to its carbonation and richness, is a little too heavy to drink an entire 12oz. bottle by oneself. Luckily we share. But judging beer by its label is wrong. Inside the bottle rested a great imperial oatmeal stout, the blackest. How much more black could this be? The answer is none. None more black. Italso has a really nice tan head. Underneath, good ol’ roasty aroma, with some coffee and unexpected cotton candy. It tastes rich, bitter and roasty and a little dry and finishes roasty as well. 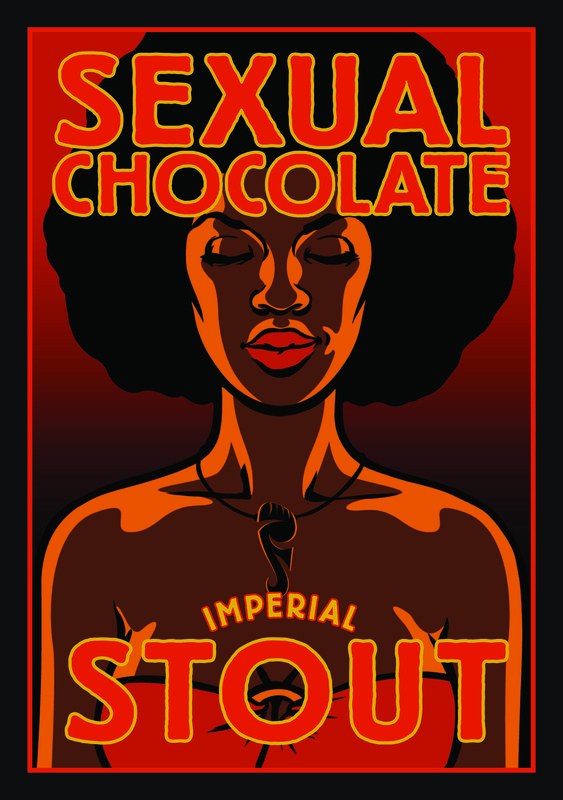 A really yummy stout it is! Highly recommended. Turbodog and Fat Dog Stout are beers #148 and #149 I Must Try Before I Die. More entries to be published soon. Meanwhile, goodnight.